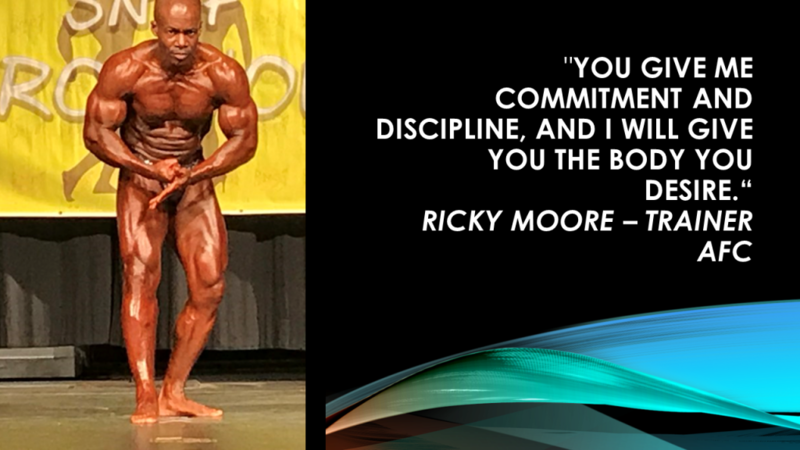 Ricky Moore is originally from Bristol, England U.K., where his love of health and fitness began. At the age of sixteen he was accepted in the British Air Force as a Junior Cadet, which was the foundation for much of his future success. He served his country for seven years and he grew up experiencing the world. He excelled at athletics and was the British Armed Forces 100 meter champion. He became interested in bodybuilding due to a knee injury that ended his track career. 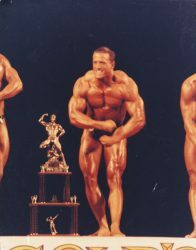 As a bodybuilder he competed in Europe and became a Junior National qualifier in both the European NAABA and the American NPC championships. Ricky made his way to the United States where he studied and became a Bio-Medical Radiological Field Engineer, which allowed him to travel across the U. S. However, his passion for health and fitness continued to motivate and inspire his daily life. 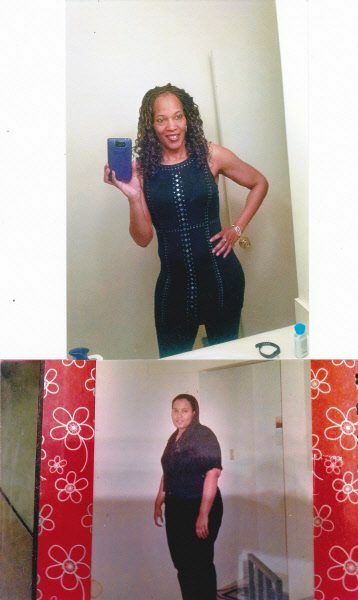 He finally made the decision to dedicate himself full-time to helping people from all walks of life, using his knowledge and experience of weight issues, disease control prevention and physical, mental stress disorders. He committed to his passion just like he committed to military service. Ricky’s beliefs are planted in a solid foundation of clean nutrition, a comprehensive exercise program and a focused mindset. In the last ten years he has successfully trained athletes for the Olympics, mentored troubled youths and worked with the mentally and physically impaired in the Atlanta, GA area. 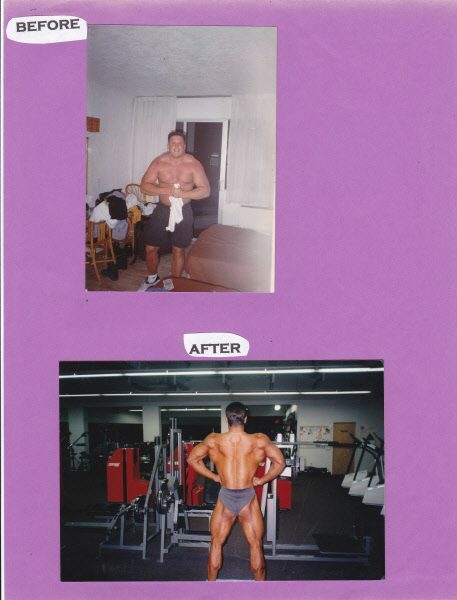 Working with techniques learned from track and bodybuilding he uses a system to work the muscles surrounding the tendons and ligaments to gain fundamental movement. This movement causes the nerves to reconnect and the process of rejuvenation and healing begins. Ricky has a vision to have a facility that will serve the able-bodied as well as those with disabilities; a place where medical professional will feel confident in sending their patients for rehabilitative and preventative care. Ricky has first-hand knowledge for the need of this type of facility. Ricky had his own physical challenges many years ago when he was unable to walk. After being released from the medical community, he looked inward for answers. After a long year of using his knowledge of exercise and weightlifting, he was able to retrain his brain and limbs to work together to start walking again. 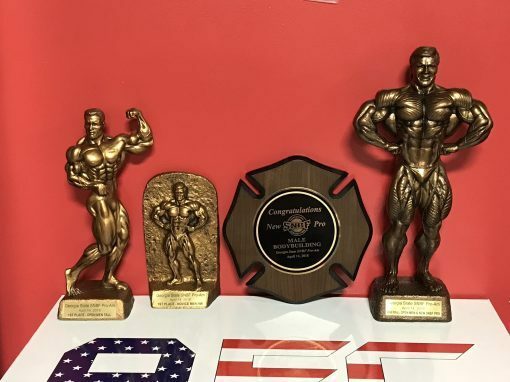 This year, 2018, Ricky won two pro cards and regained the status of natural professional bodybuilder. He will be competing again in 2019 as well. Ricky has a true passion for helping others and loves watching people regain the use of their bodies to live a more fulfilling and complete life. I believe that anyone has the potential to change their body, lifestyle, and confidence. 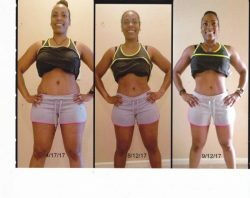 I can help you transform your body, lifestyle, and confidence level. All I need is "Commitment and Discipline" and I can do the rest! Sessions range from 35 minutes-60 Minutes. I study my clients bodies which enables me to create a workout or regiment specific for their body and needs. I can work around any injuries or diseases to create a workout that specifically fits my clients. I have always wanted to work with a trainer, and after watching Ricky work with others I decided to approach him about training me. Why did I choose Ricky over the others trainers? It was a variety of reasons. One, he asked you what you wanted to accomplish. Two, he explained exactly what he was doing and demonstrated each exercise to be performed. Three, he was on time for each session. Four, he was encouraging and positive during the workouts. Five, Ricky was always willing to change appointments days or times of training sessions to suit the individual’s schedule. Since, I have worked with Ricky for the past 5 months, I cannot believe the progress I’ve made. My levels of fitness and strength gains have all improved greatly. I couldn’t be happier with the results. I would not hesitate to recommend Ricky to anyone looking for a “Professional Trainer”.